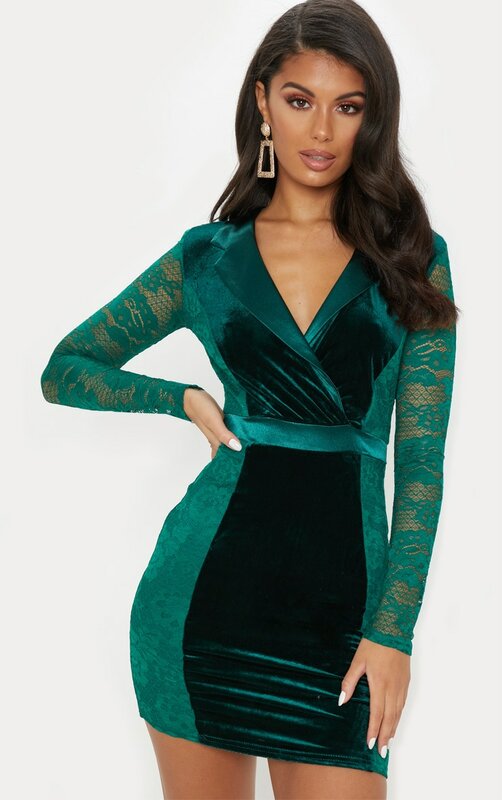 Add some textures to your party look with this bodycon dress. 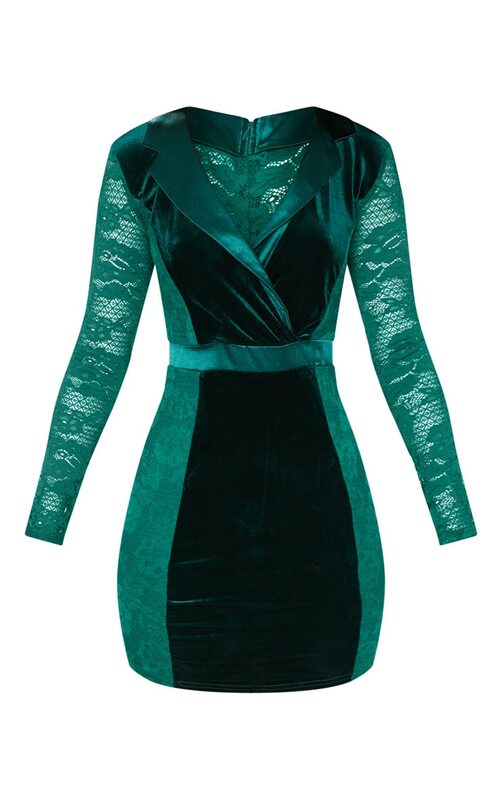 Featuring a black velvet fabric with lace sleeves, a plunging neckline and a figure-hugging fit. Team this with sky-high heels and a velvet bag to complete the look.